SECURALL 60 Gal. 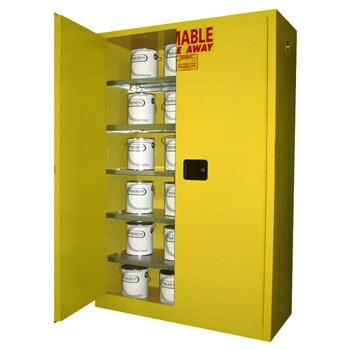 Paint and Ink Storage Cabinets with Standard 2 Doors are perfect for storing 1-Gallon paint cans. These cabinets come with a warning label that reads “Flammable- Keep Fire Away.” The sharp, two-part urethane paint comes standard. A great value especially for print shops and auto body repair.